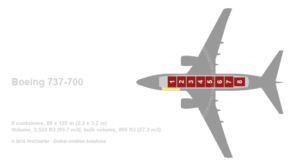 Passenger Aircraft (aka Airliners, Regions Airliners, and Light Aircraft): Airplanes and Helicopters of all kinds from manufactures around the world. Wide-body airliners seat 100 or more passengers. Narrow-body regional airliners typically seat fewer than 100 passengers. Light commuter aircraft typically seat carry 19 for fewer passengers. The LET L-410 Turbolet is a twin-engine short-range transport aircraft. Versions of this aircraft support cargo and passenger configurations. Cargo pallets require a forklift or baggage belt to access its main deck. The aircraft is capable of landing on short and unpaved runways and operating under extreme conditions from +50 °C (122 °F) to −50 °C (−58 °F). Airbus A319 CJ is a short- to medium-range, narrow-body, commercial passenger twin-engine jet airliners manufactured by Airbus. The aircraft is capable of transporting up to 19 passengers. The Bombardier Aerospace, Bombardier Global XRS 6000 is a large cabin, ultra long range business jet manufactured by Bombardier Aerospace in Toronto, Ontario, Canada. The Bombardier Global XRS 6000 is capable of transporting up to 19 passengers. The Embraer Lineage 1000 is a Brazilian business jet being developed Embraer. The aircraft is capable of transporting up to 19 passengers. The Sikorsky S-92 is an American medium-size commercial utility helicopter, manufactured by the Sikorsky Aircraft Corporation. The aircraft is capable of transporting up to 19 passengers. The Beechcraft 1900 is a pressurized twin-engine turboprop fixed-wing aircraft manufactured by the Beechcraft Division of the Raytheon Company. The aircraft is capable of transporting up to 19 passengers. The Dornier Do 228 is a twin-turboprop STOL utility aircraft, manufactured by Dornier GmbH. The aircraft is capable of transporting up to 19 passengers. Fairchild Metro III 23 is a pressurised, twin-turboprop airliner first produced by Swearingen Aircraft . The aircraft is capable of transporting up to 19 passengers. The Airbus A318 Elite is a medium-range, narrow-body, corporate twin-engine jet manufactured by Airbus. The A318 Elite provides a lounge, dining area and a private office which converts to a bedroom and bathrooms. Seating up to 18 passengers, it has the range for transatlantic flight, as well as intercontinental. The Britten-Norman Trislander "the BN-2A Mk III Trislander" is an 18-seat three-engined piston-powered civilian utility aircraft.The Trislander has exceptional low speed handling characteristics, extended endurance, increased payload, low noise signature and economical operating costs. Dassault Falcon 7X is a French Business jet and a member of Dassault Aviation's Falcon business jet line, and is a twin-engine. The aircraft is capable of transporting up to 17 passengers. The Bombardier Aerospace, Bombardier Challenger 850 is the largest super-midsize business aircraft offered by Bombardier Aerospace. It is capable of accommodating 16 passengers. The Challenger 850 jet has a transcontinental range and a high-speed cruise. The Gulfstream G550 is a twin-engine business jet. The aircraft is capable of transporting up to 16 passengers. The Gulfstream V and derivatives are a family of twin-jet aircraft, mainly for private or business use. The aircraft is capable of transporting up to 16 passengers. The Agusta Westland AW139 is a 15-seat medium-sized twin-engined helicopter. It is marketed at several different roles, including VIP/corporate transport, offshore transport, fire fighting, law enforcement, search and rescue, emergency medical service, disaster relief, and maritime patrol. The Bombardier Aerospace, Bombardier Global Express 5000 is a large cabin, ultra long range business jet manufactured by Bombardier Aerospace in Toronto, Ontario, Canada. The Bombardier Global Express 5000 is capable of transporting up to 14 passengers. The Cessna 208 Grand Caravan is a short-haul regional airliner capable of transporting 14 passengers. The Cessna 208 Grand Caravan single turboprop utility transport. Dassault Falcon 900EX is a French Business jet and a member of Dassault Aviation's Falcon business jet line, and is a twin-engine. The aircraft is capable of transporting up to 14 passengers. The Dornier 328 is a turboprop-powered commuter airliner. Initially produced by Dornier Luftfahrt GmbH. The aircraft is capable of transporting up to 14 passengers. The Gulfstream G300 is a twin-engine business jet. The aircraft is capable of transporting up to 14 passengers. The Gulfstream G350 is a twin-engine business jet. The aircraft is capable of transporting up to 14 passengers. The Gulfstream G 450 is a twin-engine business jet. The aircraft is capable of transporting up to 14 passengers. The Gulfstream III is an American twin engine business jet designed and built by Grumma. The aircraft is capable of transporting up to 14 passengers. The Gulfstream IV and derivatives are a family of twin-jet aircraft, mainly for private or business use. The aircraft is capable of transporting up to 14 passengers. The Embraer Legacy 600 is a Brazilian business jet being developed Embraer. The aircraft is capable of transporting up to 13 passengers. The Bombardier Aerospace, Challenger 604 ( 605) is one of Bombardier’s most capable aircraft. The Challenger 604 secures the family name in the long-range, business jet market. The Gulfstream II (G-II) is an American twin engine business jet designed and built by Grumman and then in succession, Grumman American and finally Gulfstream American. The aircraft is capable of transporting up to 12 passengers. The Bombardier Challenger 600 (601) is a family of business jets. The Bombardier Challenger 600 ( and 601) is capable of transporting up to 11 passengers. The Eurocopter SA 365/AS365 Dauphin 2 (Dolphin) is a medium-weight multipurpose twin-engine helicopter currently produced by Airbus Helicopters. The aircraft is capable of transporting up to 11 passengers. The Beechcraft King Air 100 family is part of a line of twin-turboprop aircraft produced by Beechcraft. Beechcraft King Air 100 is capable of transporting 4,810 KG. The Cessna Model 404 Titan is an American twin-engined, propeller-driven light aircraft built by Cessna Aircraft. It was that company's largest twin piston-engined aircraft at the time of its development. The Cessna Model 404 Titan is capable of transporting up to 10 passengers. The Cessna F406 Caravan II is a turbofan-powered, medium-sized business jet built by the Cessna Aircraft Company. The aircraft is capable of transporting up to 10 passengers. The Dassault Falcon 2000 is a French Business jet and a member of Dassault Aviation's Falcon business jet line, and is a twin-engine. The aircraft is capable of transporting up to 10 passengers. The MBB/Kawasaki BK117 is a twin-engined medium utility–transport helicopter. The aircraft is capable of transporting up to 9 passengers. The majority of the helicopters are operated by various emergency services although it is also operated by private individuals, companies and executive charter operators. Britten-Norman (often referred to as BN) is a British aircraft manufacturer. The aircraft is capable of transporting up to 10 passengers. The Beechcraft King Air 350 ( King Air 350I) family is part of a line of twin-turboprop aircraft produced by Beechcraft. The Beechcraft King Air 350 and Air King 350I were originally marketed as the "Super King Air" family, but the "Super" was dropped in 1996. The Bombardier Challenger 300 is a super-mid-sized jet capable of traversing transcontinental distances. The Bombardier Challenger 300 is capable of transporting up to 9 passengers. The Britten-Norman BN-2 Islander is a light utility aircraft, regional airliner and cargo aircraft designed and originally manufactured by Britten-Norman of the United Kingdom.The Britten-Norman BN Islander capable of transporting 2994 kg. The Cessna Citation Sovereign (Cessna Model 680 Sovereign) is an American mid-size business jet developed by Cessna. It is currently the second largest member of the Citation product line in terms of take-off weight. Cessna Citation Sovereign is capable of transporting up to 9 passengers. Dassault Falcon 50 ( 50EX) is a French Business jet and a member of Dassault Aviation's Falcon business jet line, and is a twin-engine. The aircraft is capable of transporting up to 9 passengers. The Embraer Legacy 500 is a Brazilian business jet being developed Embraer. The aircraft is capable of transporting up to 9 passengers. The Eurocopter EC 155 is a medium-weight multipurpose twin-engine helicopter currently produced by Airbus Helicopters. The aircraft is capable of transporting up to 9 passengers. The Gulfstream G200, formerly known as the IAI Galaxy is a twin-engine business jet. The aircraft is capable of transporting up to 9 passengers. The Hawker 900XP is a small twin-engine jet corporate aircraft. Initially designed and built by Mitsubishi, it has been further developed and updated by the Beech Aircraft Company. The aircraft is capable of transporting up to 9 passengers. Piaggio Avanti P180 II is an Italian executive transport aircraft with twin turboprop engines mounted in pusher configuration. The aircraft is capable of transporting up to 9 passengers. The Pilatus PC-12 is a single-engine turboprop passenger and cargo aircraft manufactured by Pilatus Aircraft of Switzerland..The aircraft is capable of transporting up to 9 passengers. Piper Cheyenne (400LS) Cheyenne is a turboprop aircraft built by Piper Aircraft. The aircraft is capable of transporting up to 9 passengers. The Beechcraft King Air 200 ( King Air 250) family is part of a line of twin-turboprop aircraft produced by Beechcraft. The Beechcraft King Air 200 and Air King 250 were originally marketed as the "Super King Air" family, but the "Super" was dropped in 1996. The Bombardier Learjet 45 ( 45 XR) ) aircraft is a super-light sized business jet aircraft produced by Bombardier Aerospace. The Learjet 45 ( 45XR) is an American built twin-engined, high speed business jet. The Bombardier Learjet 45 ( 45 XR) is capable of transporting up to 8 passengers. The Cessna Citation Excel (Model 560XL) is a turbofan-powered, medium-sized business jet built by the Cessna Aircraft Company in US. Cessna Citation Excel is capable of transporting up to 8 passengers. The Cessna Citation II was the first of the Model 550 series of Citation jets, which are light corporate jet built by Cessna. The Citation II, Model 550, was a direct development from the Citation I. The Cessna Citation II is capable of transporting up to 8 passengers. The Cessna Citation III was the first of the Model 650 series of Citation jets, which are mid-sized, high-performance business jets. The Citation III led to the later development of the Citation VI and Citation VII. The 650 series was the second of six distinct "families" of jets marketed by Cessna Aircraft Company under its Cessna Citation brand. The Cessna Citation III is capable of transporting up to 8 passengers. The Cessna Citation V is a turbofan-powered small-to-medium sized business jet built by the Cessna Aircraft Company in US. The Cessna Citation V is capable of transporting up to 8 passengers. The Cessna Citation V Encore is a turbofan-powered small-to-medium sized business jet built by the Cessna Aircraft Company in US. Citation V Encore is capable of transporting up to 8 passengers. The Cessna Citation V Ultra is a turbofan-powered small-to-medium sized business jet built by the Cessna Aircraft Company in US.The Cessna Citation V is capable of transporting up to 8 passengers. The Cessna Citation VII is a turbofan-powered small-to-medium sized business jet built by the Cessna Aircraft Company in US. The Cessna Citation VII is capable of transporting up to 8 passengers. The Cessna Citation X is a turbofan-powered small-to-medium sized business jet built by the Cessna Aircraft Company in US. The Cessna Citation X is capable of transporting up to 8 passengers. The Cessna Citation Excel XLS, XLS Plus is a turbofan-powered, medium-sized business jet built by the Cessna Aircraft Company. The Cessna Citation is capable of transporting up to 8 passengers. The Dassault Falcon 20 is a French business jet and was the first of a family of business jets built by Dassault Aviation. The aircraft is capable of transporting up to 8 passengers. The Embraer Legacy is a Brazilian business jet being developed Embraer. The aircraft is capable of transporting up to 8 passengers. The Gulfstream G 150, is an Israel Aircraft Industries-manufactured twin-engine business jet, now produced for Gulfstream Aerospace. The aircraft is capable of transporting up to 8 passengers. Hawker Beechcraft 4000 is a small twin-engine jet corporate aircraft. Initially designed and built by Mitsubishi, it has been further developed and updated by the Beech Aircraft Company. The aircraft is capable of transporting up to 8 passengers. Hawker Beechcraft 700 is a small twin-engine jet corporate aircraft. Initially designed and built by Mitsubishi, it has been further developed and updated by the Beech Aircraft Company. The aircraft is capable of transporting up to 8 passengers. Hawker Beechcraft 750 is a small twin-engine jet corporate aircraft. Initially designed and built by Mitsubishi, it has been further developed and updated by the Beech Aircraft Company. The aircraft is capable of transporting up to 8 passengers. Hawker Beechcraft 800XP is a small twin-engine jet corporate aircraft. Initially designed and built by Mitsubishi, it has been further developed and updated by the Beech Aircraft Company. The aircraft is capable of transporting up to 8 passengers. Hawker Beechcraft 850XP is a small twin-engine jet corporate aircraft. Initially designed and built by Mitsubishi, it has been further developed and updated by the Beech Aircraft Company. The aircraft is capable of transporting up to 8 passengers. The Israel Aircraft Industries (IAI) Westwind is a business jet that became a cornerstone of the Israeli aircraft manufacturing industry and remained in production for 20 years. The aircraft is capable of transporting up to 8 passengers. Piper PA-31 Navajo Chieftain is a turboprop aircraft built by Piper Aircraft. The aircraft is capable of transporting up to 8 passengers. The Beechcraft King Air family line comprises a number of twin-turboprop models that have been divided into two families, the Model 90 and 100 series and the later T-tail Model 200 and 300 series. The Kingair 90 is a short to medium range passenger aircraft capable of transporting 7 passengers. The Beechcraft King Air 90 GT GTx family is part of a line of twin-turboprop aircraft produced by Beechcraft. The Beechcraft King Air 90 is a whole new world of flying that offers the impressive King Air qualities of performance combined with comfort. The Bell 222 is a light twin-turbine engine helicopter produced by the US-American manufacturer Bell Helicopter Company. The Bell 222 is capable of transporting for up to 7 passengers. The Bell 429 is a light, twin-engine helicopter developed by Bell Helicopter. The Bell 429 helicopter is capable of transporting up to 7 passengers. The Bombardier Learjet 55 "Longhorn" is a business jet manufactured by Gates Learjet. The Bombardier Learjet 55 is capable of transporting up to 7 passengers. The Learjet 60 is a mid-size cabin, medium-range business jet aircraft manufactured by Bombardier Aerospace in United States. Bombardier launched a new variant in 2005 designated the Learjet 60XR and following certification deliveries started in 2007. The Learjet 60XR has an upgraded cabin, Rockwell Collins Pro Line 21 advanced avionics suite and three disc steel wheel brakes. The Bombardier Learjet 60 ( 60XR) is capable of transporting up to 7 passengers. The Cessna 421 Golden Eagle is an American six or seven seat twin-engined light transport aircraft. The 421 is an all-metal low-wing cabin monoplane with a retractable tricycle landing gear, and powered by two geared engines. The Cessna 421 Golden Eagle is capable of transporting up to 7 passengers. The Cessna Citation Bravo It has a long range and excellent short runway capabilities, allowing its owner to choose from a large selection of small airports. The Cessna Citation Bravo is capable of transporting up to 7 passengers. The Embraer Phenom 300 is a Brazilian business jet being developed Embraer. The aircraft is capable of transporting up to 7 passengers. The Gulfstream G100, formerly known as the Astra SPX, is an Israel Aircraft Industries-manufactured twin-engine business jet, now produced for Gulfstream Aerospace. The aircraft is capable of transporting up to 7 passengers. The Hawker 400 is a small twin-engine jet corporate aircraft. Initially designed and built by Mitsubishi, it has been further developed and updated by the Beech Aircraft Company. The aircraft is capable of transporting up to 7 passengers. Hawker Beechcraft 400XP is a small twin-engine jet corporate aircraft. Initially designed and built by Mitsubishi, it has been further developed and updated by the Beech Aircraft Company. The aircraft is capable of transporting up to 7 passengers. The Piaggio P180 Avanti is an Italian executive transport aircraft with twin turboprop engines mounted in pusher configuration. The aircraft is capable of transporting up to 7 passengers. The Bell 206L Long Ranger is a single-engine five-seat light utility helicopter produced by the US-American manufacturer Bell Helicopter Company. The Bell 206L Long Ranger is capable of transporting for up to 6 passengers. The Bell 407 helicopter is a four-blade, single-engine, civil utility helicopter. 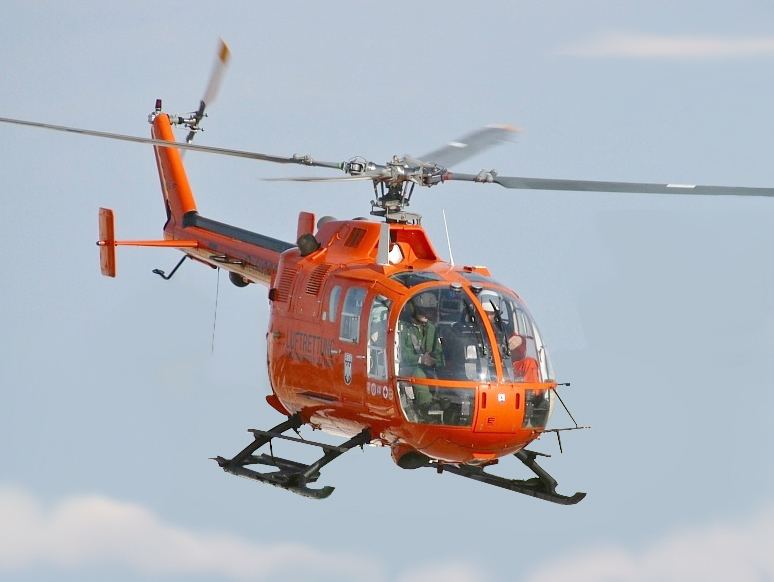 The Bell 407 is capable of transporting for up to 6 passengers. The Bombardier Learjet 31 is an American built twin-engined, high speed business jet. 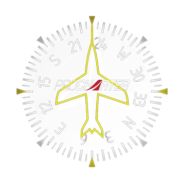 Manufactured by Learjet, a subsidiary of Bombardier Aerospace. The Bombardier Learjet 31 is capable of transporting up to 6 passengers. The Bombardier Learjet 35 ( 36) is an American built twin-engined, high speed business jet.. The Bombardier Learjet 35 ( 36) is capable of transporting up to 6 passengers. The Bombardier Learjet 40 ( 40XR) is an American built twin-engined, high speed business jet.The Bombardier Learjet 40 ( 40XR) is capable of transporting up to 6 passengers. The Cessna Citation CJ2 and CJ2 plus are American turbofan-powered light corporate jets built by the Cessna Aircraft Company in US. The Cessna Citation CJ2 and the newer CJ2+, has an updated avionics, increased performance, and FADEC controls.The Cessna Citation CJ2 ( CJ2 Plus) is capable of transporting up to 6 passengers. Cessna Citation CJ3 is the sixth generation of the popular Citation Jet series, a class of private jets designed to be economical and high-performing. The CJ3 is extremely fuel-efficient.Cessna Citation CJ3 is capable of transporting up to 6 passengers. The Cessna Citation CJ4 is an American turbofan-powered light corporate jets built by the Cessna Aircraft Company in US. The Cessna Citation CJ4 has an updated avionics, increased performance .The Cessna Citation CJ4 is capable of transporting up to 6 passengers. The Eurocopter EC 135 is a medium-weight multipurpose twin-engine helicopter currently produced by Airbus Helicopters. The aircraft is capable of transporting up to 6 passengers. Hawker Beechcraft 200 Premier II is a small twin-engine jet corporate aircraft. Initially designed and built by Mitsubishi, it has been further developed and updated by the Beech Aircraft Company. The aircraft is capable of transporting up to 6 passengers. Hawker Beechcraft Premier I IA is a small twin-engine jet corporate aircraft. Initially designed and built by Mitsubishi, it has been further developed and updated by the Beech Aircraft Company. The aircraft is capable of transporting up to 6 passengers. The MD Helicopters MD Explorer is a light twin utility helicopter There have been two models, the original MD 900, and its successor, the MD 902. The aircraft is capable of transporting up to 6 passengers. The Beechcraft Baron 58 is a short haul cargo aircraft capable of transporting up to 5 passengers. The Beechcraft Baron 58 introducing club seating, double aft baggage doors, and new gross weight of 5,400 lbs. The Cessna 340 is a twin piston engine pressurized business aircraft that was manufactured by Cessna. Maximum Range is 2542 km. The Cessna 340 is capable of transporting up to 5 passengers. The Cessna Citation CJ1 and CJ1 plus are American turbofan-powered light corporate jets built by the Cessna Aircraft Company in US. The Cessna Citation CJ1 Plus is powered by two Williams International FJ-44-1A turbofans. The Cessna Citation CJ1 ( CJ1 Plus) is capable of transporting up to 5 passengers. The Cessna 500 Citation I is a turbofan-powered small-sized business jet that was built by the Cessna Aircraft Company in US. The Cessna 500 Citation I is capable of transporting up to 5 passengers. The Cessna Citation is a marketing name used by United States aircraft manufacturer Cessna for its line of business jets. The Cessna Citation Jet is capable of transporting up to 5 passengers. The Eurocopter AS350 Écureuil (A Star) is a single-engine light helicopter originally designed and manufactured in France by Aérospatiale (now Airbus Helicopters).The aircraft is capable of transporting up to 5 passengers. The Eurocopter AS355 Écureuil II is a single-engine light helicopter originally designed and manufactured in France by Aérospatiale (now Airbus Helicopters).The aircraft is capable of transporting up to 5 passengers. The Piper Aztec , named Apache and later Aztec, is a four-to-six-seat twin-engined light aircraft. The aircraft is capable of transporting up to 5 passengers. Piper PA-34 Seneca is a turboprop aircraft built by Piper Aircraft. The aircraft is capable of transporting up to 5 passengers. The Bell 206 Jet Ranger is a single-engine five-seat light utility helicopter produced by the US-American manufacturer Bell Helicopter Company. Helicopter is capable of transporting 1,451 kg. The Cessna Citation Mustang, Model 510, is a very light jet (VLJ) class business jet built by Cessna Aircraft Company.The Mustang, in standard configuration, has four passenger seats in the aft cabin, a toilet and seating for two in the cockpit. The Cessna Citation Mustang is capable of transporting up to 4 passengers. The Eclipse 500 is a small six-seat business jet aircraft manufactured by Eclipse Aviation. The aircraft is capable of transporting up to 4 passengers. The Embraer Phenom 100 is a Brazilian business jet being developed Embraer. The aircraft is capable of transporting up to 4 passengers. The Eurocopter (now Airbus Helicopters) EC120 Colibri (English: hummingbird) is a 5-seat, single-engine, single main rotor, light helicopter. The aircraft is capable of transporting up to 4 passengers. The Aérospatiale Gazelle is a five-seat helicopter, commonly used for light transport, scouting and light attack duties. It is powered by a single turbine engine and was the first helicopter to feature a fenestron tail instead of a conventional tail rotor. The Eurocopter EC 120 is a medium-weight multipurpose twin-engine helicopter currently produced by Airbus Helicopters. The aircraft is capable of transporting up to 4 passengers. The MBB Bo 105 is a light, twin-engine, multi-purpose helicopter, capable of transporting up to 4 passengers. The Bo 105 was formally replaced in Eurocopter's product range by the newer Eurocopter EC135, which was itself a development of the Bo 105. The MD Helicopters MD 500 series is an American family of light utility civilian and military helicopters. The aircraft is capable of transporting up to 4 passengers. The Cirrus SR22 is a single-engine, originally four and later five-seat, composite aircraft built by Cirrus Aircraft. The aircraft is capable of transporting up to 3 passengers. The Diamond DA42 Twin Star is a four seat, twin engine, propeller-driven airplane manufactured by Diamond Aircraft Industries. The aircraft is capable of transporting up to 3 passengers. The Sikorsky S-76 is an American medium-size commercial utility helicopter, manufactured by the Sikorsky Aircraft Corporation. The aircraft is capable of transporting up to 3 passengers. The Robinson R22 is a small , light helicopter produced by the Robinson Helicopter Company. The aircraft is capable of transporting up to 1 passenger.